We have reached December 1 again, World AIDS Day. I have left my blogging here for the past year, but my writer’s heart longs to be writing again every day. It has been a year of grant-writing for work, and so often I feel like I have nothing left to type the words that are in my heart. But, I want to — and TODAY, I must. I have to commemorate December 1. Every single December 1 since 2004, I have tried to commemorate a little girl named Faith. I met Faith the very first time I went to Kenya, in 2004. Today, December 1, was Faith’s birthday. I wish that Faith was alive today to turn 16. Faith’s birthday should be celebrated. There is a gap in my heart every World AIDS Day when I think of Faith. Faith was the first child under my care who died from HIV. I took this photo of Faith and her mother on the day that I met them in Kenya on the wards of the hospital. Faith was 4-years old, and she only weighed 4 kilograms – about 9 pounds. I had never seen a 4-year-old child like Faith before that day, a 4-year-old who weighed less than some newborn babies. Four-year-olds are not supposed to look like Faith looked. The HIV virus had stolen all of Faith’s energy as it destroyed her body’s immune system. The HIV virus was stealing away Faith. She was beautiful, but broken. 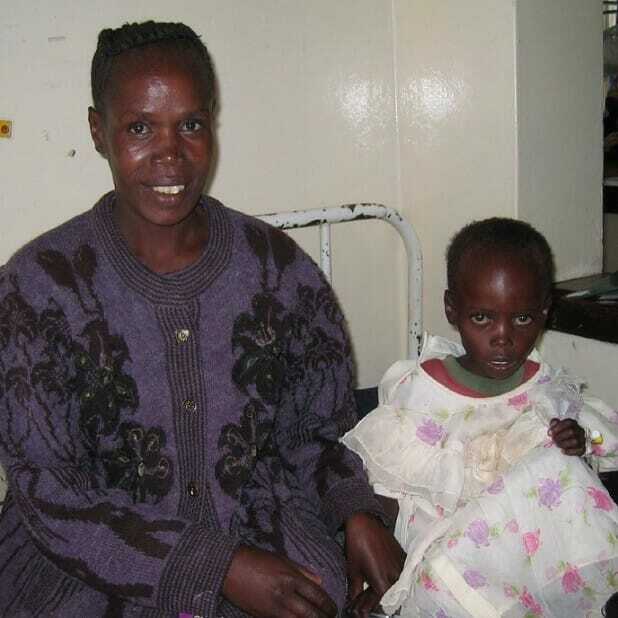 Faith’s mother had worked very, very hard to get her daughter to the referral hospital. You can see in the photo how happy and hopeful her mother looks. She is pleased she managed to get her daughter to this hospital. She thinks I will be able to save her daughter. Faith died two days after she was admitted to the hospital. Our medicines, our fluids, our nutritional support were all too little, too late. We could not save her. I could not save her. I remember her last breath. Faith taught me my first real lesson in how HIV steals children’s lives. After Faith died, her mother kept thanking me for this photo that I had taken of Faith. She did not have any other pictures of her daughter, and she was grateful to have this one. I felt terrible when she thanked me. I felt like I failed because I could not keep Faith alive. What was a photo in the face of the loss of a 4-year-old daughter? I wished that I could change Faith’s story. I still wish that. I wish Faith was alive to turn 16 on this December 1, on this World AIDS Day. I wish we all could know Faith today. I celebrate my own birthday in December, and I wish I could celebrate Faith’s 16th birthday too — in a much, much different way than talking about her death. We have lost so many Faiths. 210,000 children died from HIV last year. 210,000 stories we will never know. 210,000 birthdays that will not be celebrated this year. When I took care of Faith, I did not realize that my life’s work would become trying to change the stories of children living with HIV in the world’s poor places. I did not know I would one day be caring for over 15,000 Kenyan children just like Faith through the AMPATH program. I did not know that I would spend every day trying change the stories of children with HIV around the world into stories of health and hope. Three million of the world’s children are living with HIV on this December 1, 2016. We will gather in Indianapolis for World AIDS Day to try to change the story for children like Faith. People with be gathering all over the world — to remember, to celebrate, to vow to fight for change. Please join in the push for more birthdays for more children with HIV. Please think of Faith today. Miriam is 15-years-old, and she lives at a children’s home for orphans just outside of Eldoret. A few years ago, when I visited the home, her guardians at the home asked me to take a look at her because she had been coughing for some time. It turns out that Miriam had been sick off and on with pneumonia and other infections over the past few years. Her foster mother told me that she worried that Miriam was not growing any more, was in fact losing weight. 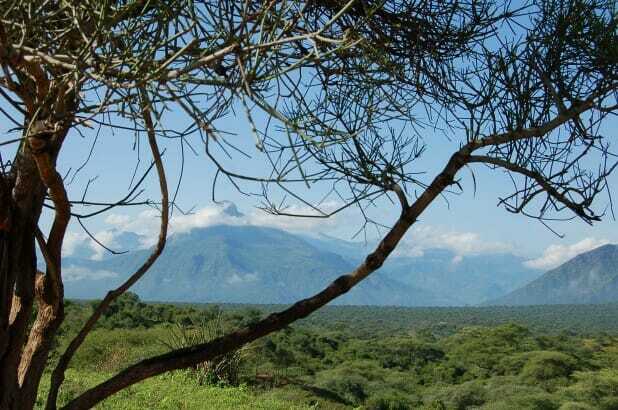 As I listened to her lungs and felt the swollen lymph nodes all over her body and saw just how small and frail Miriam was, I immediately worried that Miriam had HIV. I brought her to the AMPATH clinic for testing the next day, and my fears were confirmed. Miriam’s HIV test was positive. Thus began Miriam’s start on life-long treatment for HIV. I once told Miriam how sorry I was that I had to tell her she had HIV. That had been a hard day for me, when I looked into her eyes and told her that the same virus that had killed her parents, the same virus that claimed the life of her older sister, also lived in her blood. I felt as though by saying it, I had made it true. Sometimes, as a doctor, I feel deeply responsible for all that goes along with the diagnoses I give. Miriam has, indeed, become strong again. She has gained weight and a few more inches in height. If you looked at her among the 20 girls in her dormitory, you would not be able to pick out which girl has HIV. Miriam does not usually miss school any more, except for the times when she has to come to the clinic. She tells me she takes her medicines for HIV faithfully — except for those times when she does not want anyone else in her dormitory to see her taking the medicines. She tries hard, and she is taking more and more responsibility for her medicines. I worry, thought, that those missed doses could eventually hurt her health and allow her virus to grow resistant the medicines. My work here – all these grant applications and meetings and data analyses – still focuses on figuring out what would work to help adolescents like Miriam take their HIV medicines better. Yesterday, I gave several presentations at a national meeting in Nairobi on Children, Adolescents, and HIV. Over and over again, I found myself struck by — and repeating — the same message: For Miriam and the hundreds of thousands of children growing up with HIV, we need to find better ways to help them get through adolescence and into adulthood as strong and healthy as possible. We want them to live and thrive. We don’t want the virus to keep spreading to other people. We need to find ways to help them with the medicines over the long haul. It’s deliciously sunny at the Equator today, but David has his navy hoodie snugged up tightly around his face as he slouches in the chair in my exam room. He doesn’t make eye contact with me as I flip through the many pages in his chart. One of the clinical officers in the HIV clinic asked me to review his case, and I try to sort through years of treatment as quickly as possible. David is keeping hidden as much as possible because he is embarrassed by the terrible, weepy rash covering the right side of his face. He has a zoster infection; his long-ago chicken pox virus has woken up to wreak havoc in a painful swath from ear to nose. His HIV virus is awake too — multiplying in his blood, destroying his immune cells, and allowing infections like this spring up. I struggled with David today. He is 18, and I cannot figure out whether his virus has become resistant to his HIV medicines or whether he is just not taking them. He admits that he used to skip the medicines fairly often in the past because he was worried that his friends at boarding school might see them, because he was tired of the daily reminder that he was sick, and because he wasn’t sure there was any point in them. Today, he claims that he is taking his medicines regularly, but he still won’t meet my eyes, and I just don’t know. It happens that I have a grant application under review (with a decision to be made Monday) that would help us solve this exact dilemma. We would finally be able to do the testing that helps us figure out how and when children’s HIV viruses become resistant to their medicines, requiring a switch to something new. We very much need these tests for children and youth like David. I gave David my best cheer-leading/stern doctor routine today. I showed him our animation describing how HIV affects his body and why it is so critical to take the medicines carefully. I pointed out the many signs that his body is losing this fight right now. I tried to convince him that his dreams of going to college and working as an architect are possible if we can get his virus suppressed. Here’s to hoping we get this grant for David. It is December 1, World AIDS Day, and I am so excited for Celebration in Red. It feels like a big birthday party for me and all of the HIV-infected children I care for in Kenya. 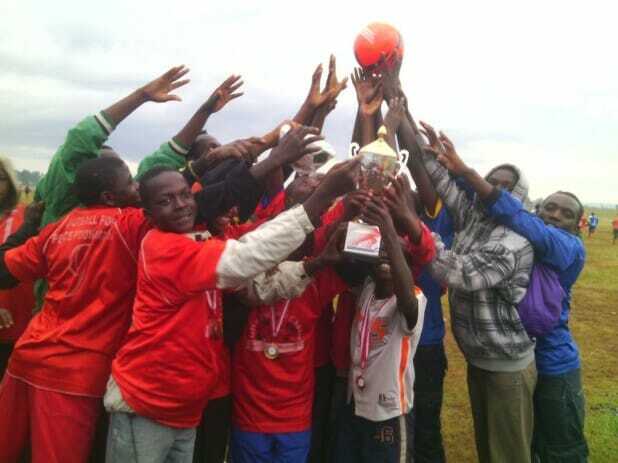 In Kenya, our kids are engaged in a World AIDS Day Youth Soccer Tournament as I type this. And in Indianapolis, we are welcoming everyone to the Biltwell Event Center to celebrate. In the midst of these events, on every December 1, I remember a little girl named Faith. I met Faith the very first time I went to Kenya, in 2004. Today, December 1, was Faith’s birthday. I wish that Faith was alive today to turn 15. Faith’s birthday should be celebrated. There is a gap in my heart every World AIDS Day when I think of Faith. I wished that I could change Faith’s story. I still wish that. I wish Faith was alive to turn 15 on this December 1, on this World AIDS Day. I wish we all could know Faith today. I wish we were celebrating Faith’s 15th birthday today in a different way. When I took care of Faith, I did not realize that my life’s work would become trying to change the stories of children living with HIV in the world’s poor places. I did not know I would one day be caring for over 15,000 Kenyan children just like Faith through the AMPATH program. I did not know that I would find spend every day trying change the stories of children with HIV around the world into stories of health and hope. 3.4 million of the world’s children are living with HIV on this December 1, 2015. I love it that we will gather in Indianapolis for World AIDS Day to try to change the story for children like Faith. Please join us. Please join in the push for more birthdays for more children with HIV. Ethan is 18, and he has been living with HIV since he was born. For the first years of his life, he was sickly and small. Every day, in the silence of her heart, his mother wept for him. She was sure that this son who was sick again and again would not live. Ethan’s mother wanted the world for him. Silently, she begged God to save him, to spare him, to let him grow up and know love and happiness and find his way. After years of watching her son get sick over and over again, there came a day when she was given a new test result. The doctors had tested Ethan for HIV and they found that he was HIV-positive. This meant that Ethan’s mother was positive too. She carried in her blood this virus that threatened to kill them both. This was the worst day — and the best day. Because finally getting that diagnosis meant that the doctors knew what to do for Ethan at last. He was started on the HIV medicines that could restore his body’s protective immune cells and prevent him from getting sick again and again. Ethan began to grow. He became his mother’s strong and laughing boy. Slowly, she began to have hope again. Ethan has done extremely well on his HIV medicines. He graduated from high school this year, and he was the star of his school’s soccer team. He loves soccer, but even more, he loves the youth of his community. His passion is to help other kids who are growing up with HIV to know that HIV is only part of the story of who they are — that they can still growth and thrive and dream. “I will always do all I can to support those in need of care,” he says. In honor of Ethan and all of the world’s kids growing up with HIV, in Kenya, our Celebration in Red for World AIDS Day will include a youth soccer tournament in Eldoret, Kenya. We have 12 teams organized for the tournament, we have brand-new soccer balls and t-shirts and a full tournament line-up planned for December 1 — World AIDS Day. In between the matches, we have counselors and mentors who will be giving motivational talks and leading support sessions. 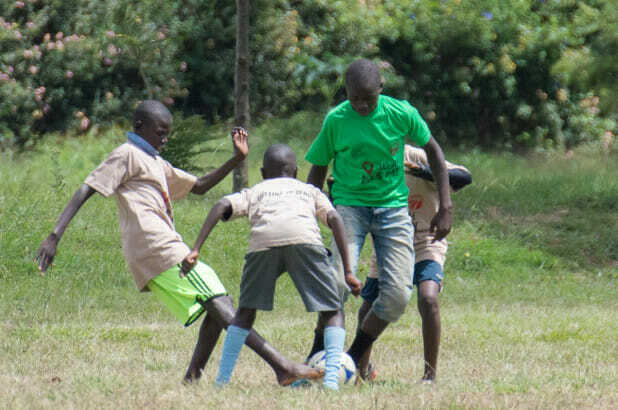 On this World AIDS Day, our children in Kenya will be laughing and shouting and playing their absolute best on the soccer field. Our children with HIV will be bright and shining examples of what it can look like to live with HIV when you have access to the medicines you need. They are the lucky ones; 2/3 of the world’s HIV-infected children do NOT have access to HIV medicines. We will celebrate Ethan and all of our healthy, happy soccer players at Celebration in Red for World AIDS Day. 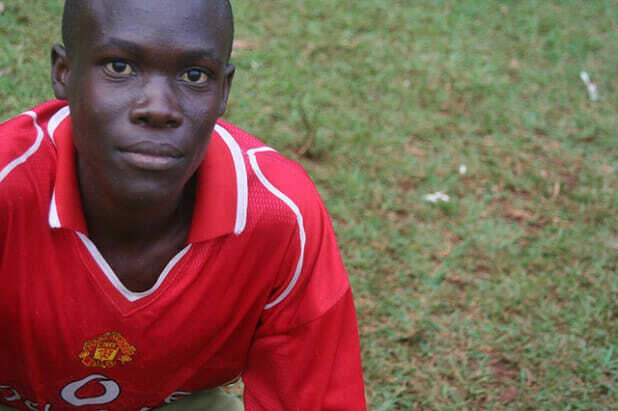 Even better, they are going to send us pictures from the tournament in Kenya in time for Celebration in Red. Come celebrate Ethan with us. Much of what I write about on this blog is about patient care. Please be assured that: 1) I ask for and receive permission to post any patient photos that I include here and 2) Patient names and identifying details are changed to protect their privacy.